MBA is a journey, full of thrills and new experiences at each point of time. Quite logically, there are many roads which can lead to this journey. Having said that, it gives me immense pleasure to introduce Dr. Vizy Dahiya of IIM Trichy, who has kindly consented to spare some time for this interview. 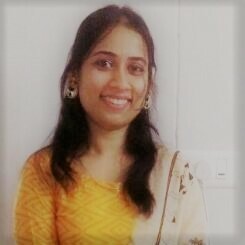 Dr. Vizy Dahiya has completed her Bachelors in Dental Surgery. 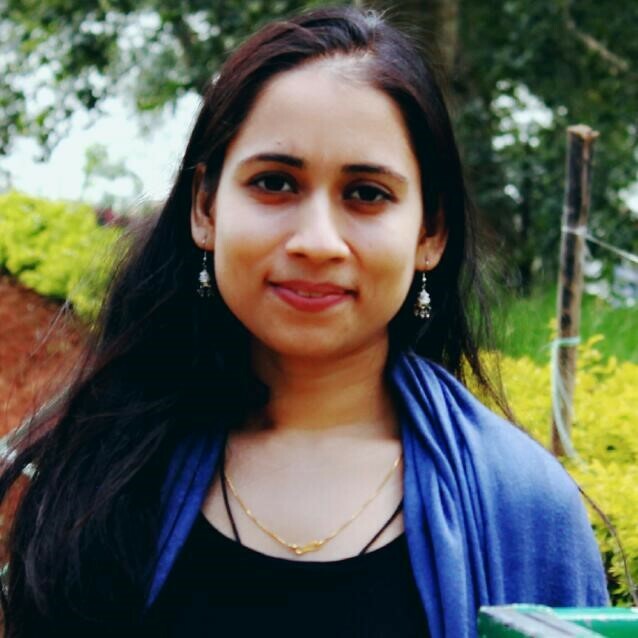 Post her graduation, she has worked for almost 40 months in various settings in Dental Care – from private clinics to not for profit organisations, providing affordable dental care services to the underprivileged people in rural areas. She is a firmly optimistic person who doesn’t like giving up. Quite apt a spirit especially if we consider an intensely competitive and enriching environment like the MBA course which requires you to put on the best of your efforts – every time. She also likes to read and travel in her leisure time. She is a strict follower of a healthy diet and lifestyle regime, which includes early morning walks, exercises, yoga and meditation, amidst the rigours of the IIM. Let us now hear Dr. Vizy Dahiya’s journey so far in IIM Trichy, adding a new chapter in the diversity of experiences and ideas in the larger IIM fraternity. How does it feel to belong to a totally diverse background in a cohort full of mostly engineers? Feels quite great and enriching to learn from a cohort of extremely talented people. Engineers are quite significant in numbers over here in IIM Trichy (or any IIM for that matter). I have interacted with them and have found them to be quite cool and unpredictable people (in a positive sense). One just can’t judge their knowledge & intelligence just by one conversation. Due to my slight diverse background, I found learning at IIM Trichy to be enriching but sometimes apprehending. This apprehension encouraged me to work harder and perform better. Once a rapport with the fellow batch mates and a steady rhythm is achieved, things started falling into place. Not only the engineers, I found my fellow classmates from other backgrounds also to be highly co-operative. IIMs are known to provide a culture where situations demand teamwork which adds values to all members. Collective efforts provide synergy which makes life and work, both enjoyable. As students come from all over the nation, MBA turns out to be a holistic learning in terms of diverse cultures, languages, festivals, rituals and most importantly, ideas. Can you provide a brief description of your work prior to joining IIM Trichy? Before joining to IIM Trichy, I worked as a dental surgeon in two different environments – Both in private clinics and a Non-Profit Organisation, which actually was a clinic being operated in a High school in a village located near my hometown. Minimal charges were incurred by patients for receiving good treatment. Most of the patients were farmers or villagers with very limited income, so it was quite satisfying to offer them affordable dental care which otherwise does not percolate beyond big cities. I was also actively involved in the management of the clinics as well as the Non-profit organisation. They had a very small team and the doctors were already busy treating the patients, so I voluntarily took part in the management of the teams, clinics, the arrangement of facilities to name a few activities. So, what prompted you to join MBA programme? How do you think it will add value to your career? I noticed that contrary to the common belief, doctors were quite interested in providing proper treatment to patients or even with the limited income of the patients themselves. What went wrong was the mismatch of demand and supply and inefficient management of resources. Healthcare sector is growing at a rapid pace in India, but eliminating such problems of demand-supply mismatch and improving efficiency remains a challenge to Management graduates. This challenge prompted me to explore more about the same and motivated me to pursue MBA to know and bring in the necessary efforts towards providing the patients with a better healthcare system. I believe that my prior experience in team management, as discussed before, will help me pursuing a career in the healthcare sector. My prior work experience of 40 months will help me correlate the concepts in class to the practical situations. Please explain how did you use your prior work experience or diversity to your advantage (or had a bad experience) in IIM Trichy? I have treated more than 1000 patients during my practice as a dental surgeon. Although I don’t have a formal corporate experience, I still have the experience to effectively deal with and manage the people around me. I believe in general, all the doctors do possess this skill. My patients belonged to highly diverse backgrounds – rich and poor, literate and illiterate, children or the elderly people. It is my job to convince everyone to opt for the best treatment which suits their health. I took it as my responsibility to help especially the poor and the needy people. For this very purpose, I conducted special dental check-up camps in rural areas for the poor and needy people to help them avail affordable dental care services. I strongly believe that the skills of effectively managing a team of people and stakeholders to conduct such difficult projects will come in handy not only during my course of study in IIM Trichy, where I will be able to dive deeply and fill my knowledge gaps pertaining to such topics, but also during the actual corporate life, after graduating from IIM Trichy. Describe your journey so far in IIM Trichy? Any journey in an IIM can best be described as a big roller coaster ride. My journey in IIM Trichy is no exception. It has been a mix of black and white. Initially, the journey was quite stressful, considering the adjustment in a new place, as well as the learning an altogether new dimension called MBA. However, with the passage of time, it seems quite familiar. Nowadays the humongous workload of assignments, projects, pre-readings for classes, exams and quizzes feels like a normal day at the office (hence, it seems a bit abnormal to have a day as leisure – in the real sense). Seniors and teachers are very approachable and cooperative, always ready to guide us anytime we face any issues. The IIM culture helped me celebrate, cherish and appreciate all the diverse cultures of India through my fellow classmates, be it festivals, music, customs, ideas and most importantly – food..! What would you like to pursue after you graduate from IIM Trichy? 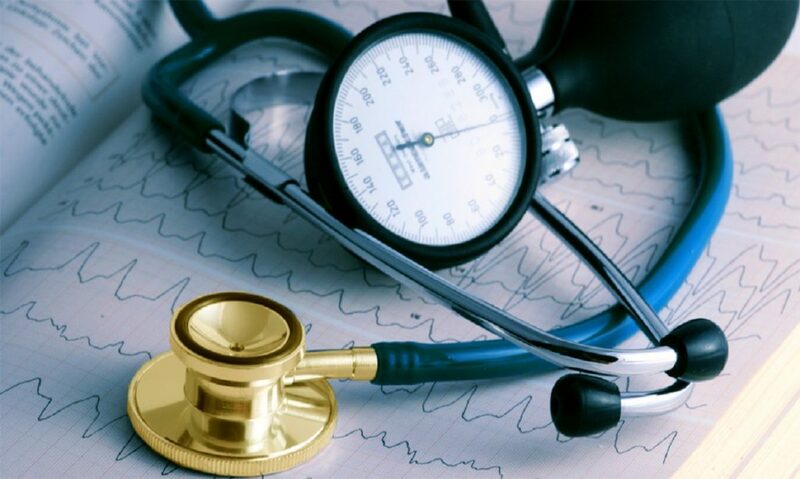 I would like to pursue my career in healthcare sector post my MBA studies. As I said earlier, the healthcare sector itself has quite a lot of challenges which if removed, could help the common people in a big way. A major challenge is minimising the out of pocket expenses among Indians especially for healthcare, which dents the personal savings of the people and hence leads to either compromise on the quality of healthcare opted for, or a compromise on future growth or investment prospects, which in turn is detrimental to our GDP. My focus will be to push forward the common people for a bare minimum insurance cover, which we find desperately lacking among Indian people. That will again offset the challenges posed due to putting a ceiling on prices of some of the medicines or healthcare services provided, enabling Pharmacy Companies to invest in India. Thankfully, we are witnessing the inauguration of new AIIMS and equivalent hospitals in almost every part of the Country, which is good for the Country. Using various concepts studied as a part of the MBA Course, even at an individual AIIMS or Hospital level, we can easily drive this concept of insurance as a necessary hygiene among the patients or common people at large, just like the basic hygienic practice of washing hands with soap before having a meal. The JAM scheme of the Government can also come in handy in a big way. We must strive to strike a synergy between an individual’s physical health and financial health, which in turn bodes good for the Country. How did you find CAT preparation? Easy or difficult? I worked in a disciplined way while preparing for CAT 2015. I focused on polishing my already areas of strength. I am better at Quantitative ability and Verbal ability compared to Logical reasoning and Data Interpretation; hence I focused more on QA & VA. I also focused a lot on LR and DI sections, to be able to clear the necessary sectional cutoffs. To get a good understanding of VA, I used to read the newspaper daily, mainly the editorial part and if I am short of time, I always managed to at least read “The Speaking Tree Blog”. It helped broaden my thinking and made me understand passages in exams quite easily. By the time I finished taking the CAT, I became a fan of reading. I have continued this habit here in IIM Trichy too. To answer the question on ease or difficulty in preparing for CAT, I would say that initially everything is difficult, more so if you don’t take the first step. But perseverance is the key. Once you put up your 100% in a job with an intention to understand it thoroughly, you will find the difficulty levels rapidly reducing in the subsequent steps you take. So, overall CAT was a good learning experience for me. What advice would you like to give to the budding doctors who would like to pursue an MBA course? Decide what exactly you want to do or to be more precise, identify where your interest lies. And there is no fixed path to follow post completion of a particular line of education. Once you have determined your way, believe in yourself and put in your entire endeavour whole heartedly into that particular work. Consider the opinions of all your friends, family members, make an informed decision and work hard for it. My decision of writing CAT surprised and shocked everyone around at the same time. I considered all opinions of my friends, family and well-wishers, but I had made up my decision to go for MBA course. I would take this opportunity to thank my family for standing with me in this decision. 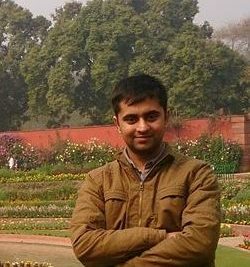 Abirbhav is a member of InsideIIM Student Team 3.0 from IIM Trichy. He has worked in several roles in Mitsubishi Electric, Keihin and Cummins before joining IIM Trichy. Abirbhav loves automobiles, exploring uncharted territories and photography. He is also a member of International Relations Committee and Podium (Debate and Literary) Club of IIM Trichy. He would love to hear from you on Facebook, Linkedin, Twitter or Instagram.